When Charles Dickens died in 1870 he was the best-known man in the English-speaking world--the pre-eminent Victorian celebrity, universally mourned as both a noble spirit and the greatest of novelists. Yet when the first person named in his will turned out to be an unknown woman named Ellen Ternan, only a handful of people had any idea who she was, and her conspicuous presence in his will was a mystery. 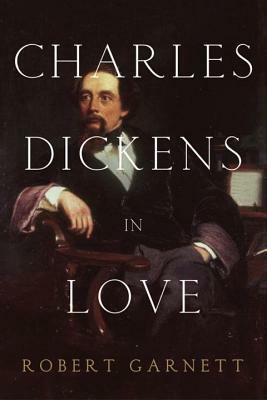 Of his romance with Ellen, Dickens had written, "it belongs to my life and probably will only die out of the same with the proprietor," and so it was--until his death she remained the most important person in his life. She was not the first woman who had fired his imagination. As a young man he had fallen deeply in love with a woman who "pervaded every chink and crevice" of his mind for three years, Maria Beadnell, and when she eventually jilted him he vowed that "I never can love any human creature breathing but yourself." A few years later he was stunned by the sudden death of his young sister-in-law, Mary Scott Hogarth, and worshiped her memory for the rest of his life. "I solemnly believe that so perfect a creature never breathed," he declared, and when he died over thirty years later he was still wearing her ring. Charles Dickens has no rival as the most fertile creative imagination since William Shakespeare, and no one influenced his imagination more powerfully than these three women, his muses and teachers in the school of love. Using hundreds of primary sources, Charles Dickens in Love narrates the story of the most intense romances of Dickens's life, and shows how his novels both testify to his own strongest affections and serve as memorials to the young women he loved all too well, if not always wisely.